My name is Alison, and my blogging home is called Oopsey Daisy. I am the queen of oopsey daisies. I love to create beautiful things, and I usually stumble a bit (or a lot) along the way! My blog tells the twists and turns of my crafting journeys. I draw upon my teaching experience to make fun things for my sweet 2-year-old son. 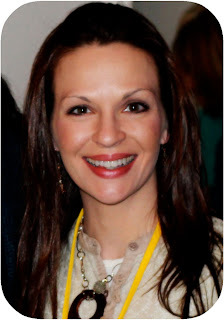 I also love sewing, organizing, cooking/baking, family fun, and photography. Allie, thanks so much for having me over today! 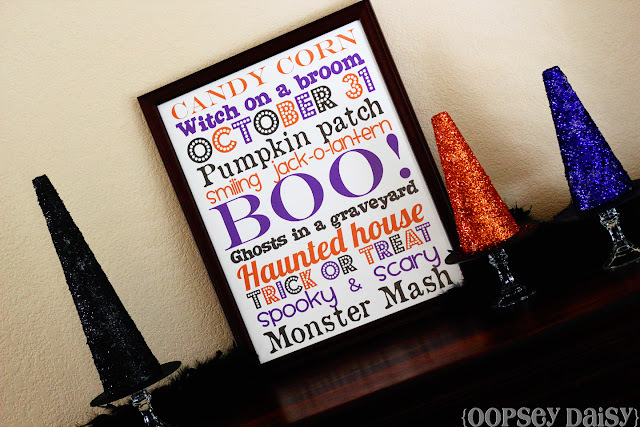 I have been itching for fall to arrive--and I LOVE Halloween! Do you remember eighteen25's Christmas subway art and glitter trees from last year? Well, they inspired me to make my own glitter witch's hats and Halloween subway art! I'm one of those crazy people who decorates for Halloween in September, so this sparkling display is brightening up my living room right now! 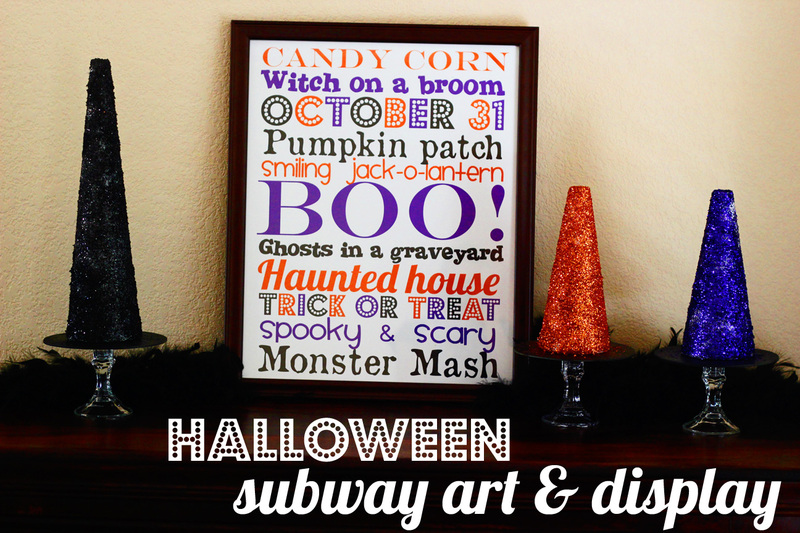 First, I created this Halloween subway art in Photoshop. You can download your own 16x20 print here. Have it printed at Costco and throw it in a frame! 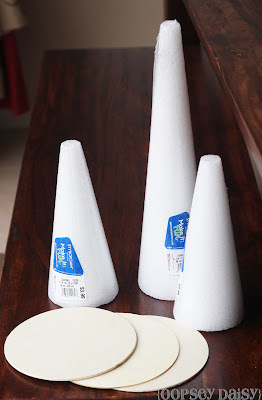 To create the witch's hats, I bought 3 styrofoam cones and 3 wooden circles at Hobby Lobby. 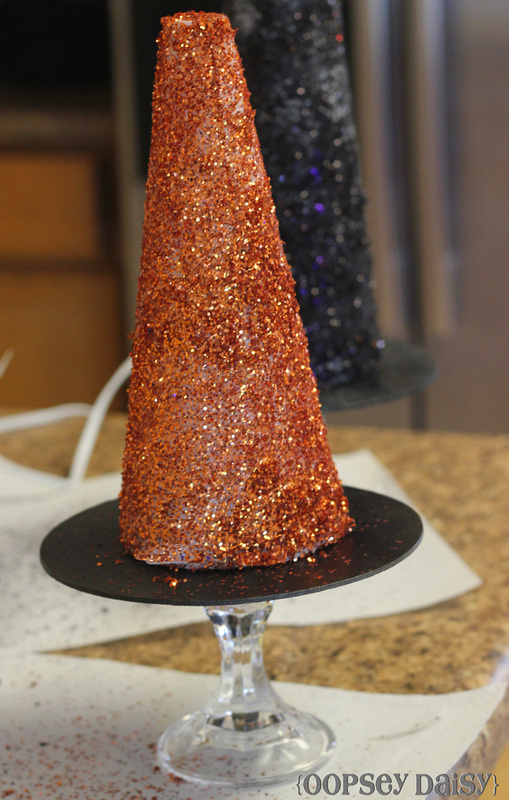 I glittered up each of the cones using a bit of spray adhesive (don't you love this stuff??) 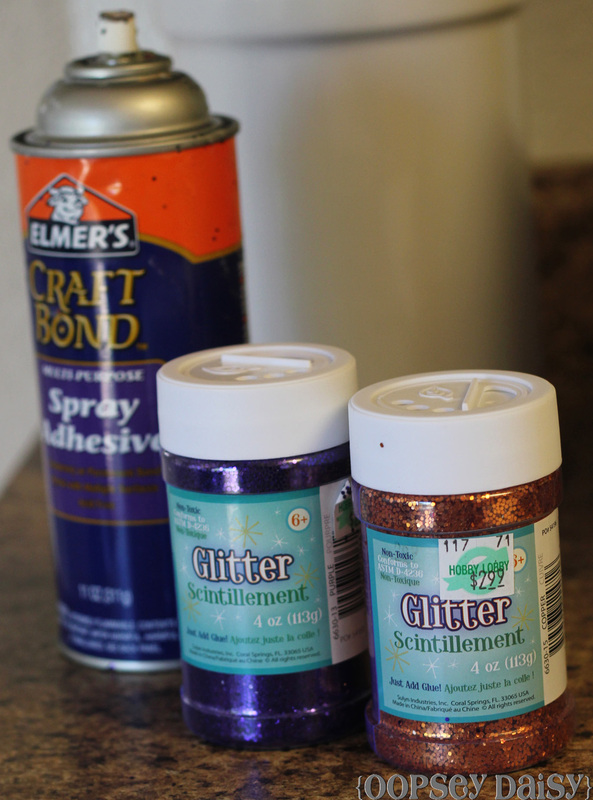 I used almost an entire container of glitter for each hat. I chose to use black, orange, and purple. I love this color combo! And who says witches always have to wear black?! After spray painting the circles black, I used E-6000 to glue the cones to the circles. Then I mounted each hat to a candlestick holder. I purchased these at the dollar store. I added a couple of black feather boas for a spooky effect. I gotta say--I'm loving the sparkles! Allie, thanks so much for having me today! This was so much fun! Oh, wow. Alison, I just looove those witch hats. Anything with glitter is always great. 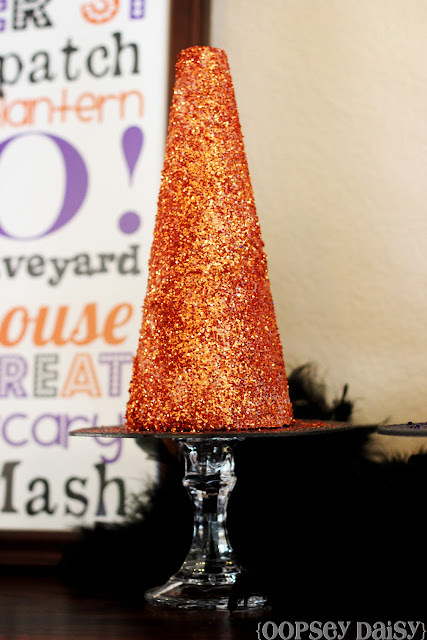 Glitter in Halloween colors is my favorite though. And I think I might just print that poster this week! 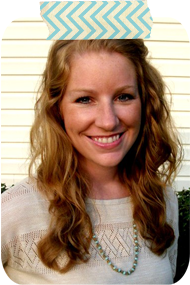 Be sure to head over to Oopsey Daisy and visit Alison! One of my favorite sections on Alison's blog is Mommy School where you can download interactive play and learn packets for your toddler. They are SO nice. I might have to start using some of them in centers in my kindergarten class! Need some more Halloween ideas? Check out some of my favorite's from Alison: Spider Applique Shirt, Burlap Candy Corn, and Spider Oreo Snacks! 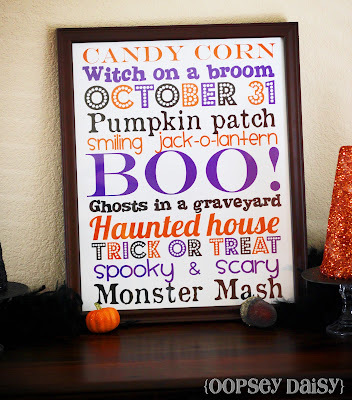 Be sure to click below and enter the Halloween Giveaways going on right now! 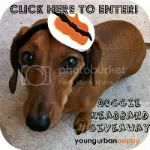 The bunting giveaway ends tonight! 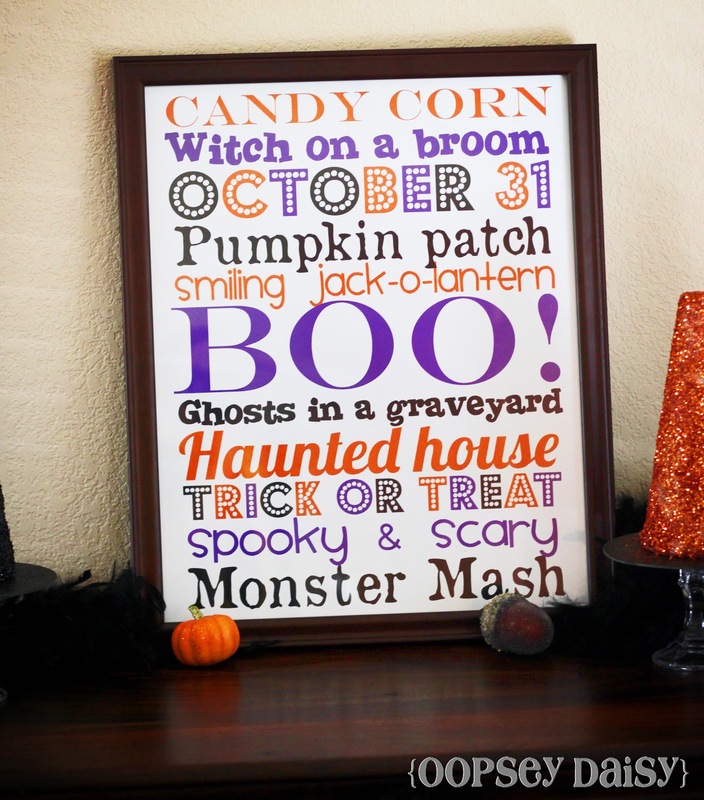 And check back tomorrow for another great Creepy Crafty Halloween guest! Thanks for having me Allie!! cute as always alison! Love it! Super Cute! 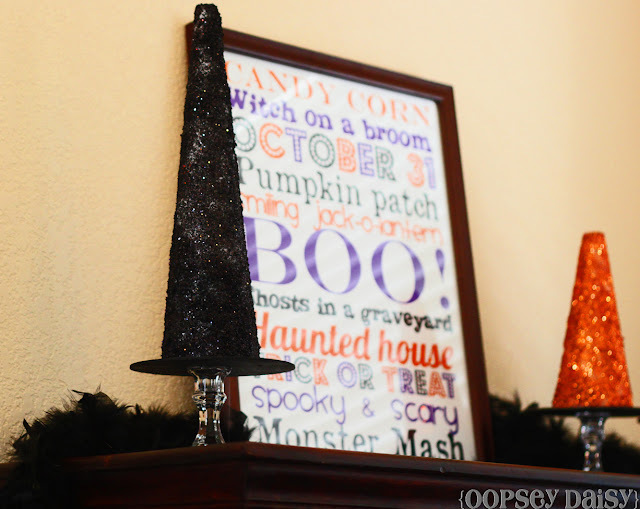 Love the witches hat idea!! 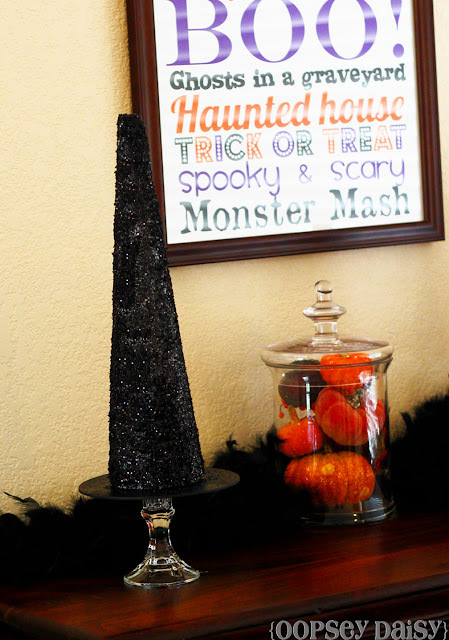 Love those witch hats too. Nice job Alison! I love the font that has the dots through it! Do you mind sharing the name of it?